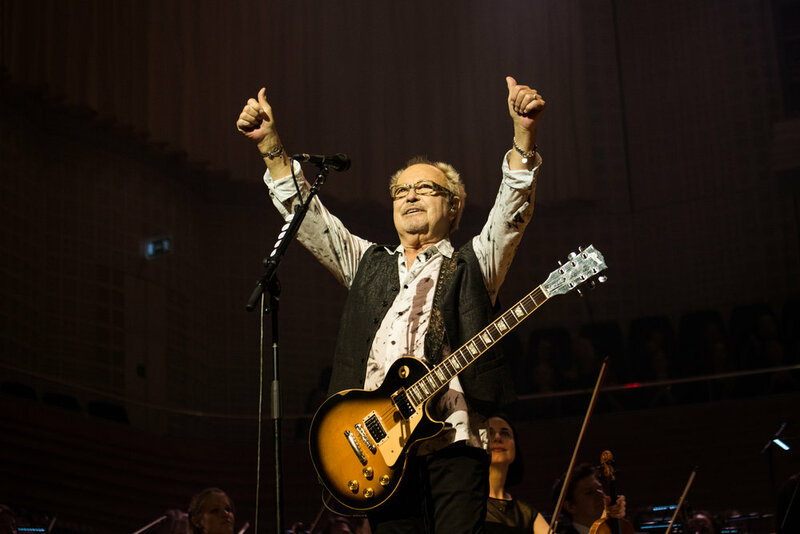 The architect behind Foreigner’s extraordinary catalogue of smash hits, Mick has crafted some of rock music’s most enduring songs and produced 10 multi-platinum albums. Grammy and Golden Globe nominated songwriter, performer and producer and winner of the prestigious Ivor Novello songwriter award in Britain in 1998, Mick first began playing guitar in his early teens. "I knew early on that I could never hold a regular job. I had to play guitar. I had to somehow make my way into music" he says. "My initial musical vision for Foreigner was to combine Blues and R&B with British Rock and make it sound soulful and authentic. I?d grown up in England and had the English influence but I was also inspired by many elements of American music, from Mississippi Blues to Country and Western. Foreigner was the vehicle to get that musical blend across." "I’m grateful to be surrounded by the talented musicians that make up Foreigner today. 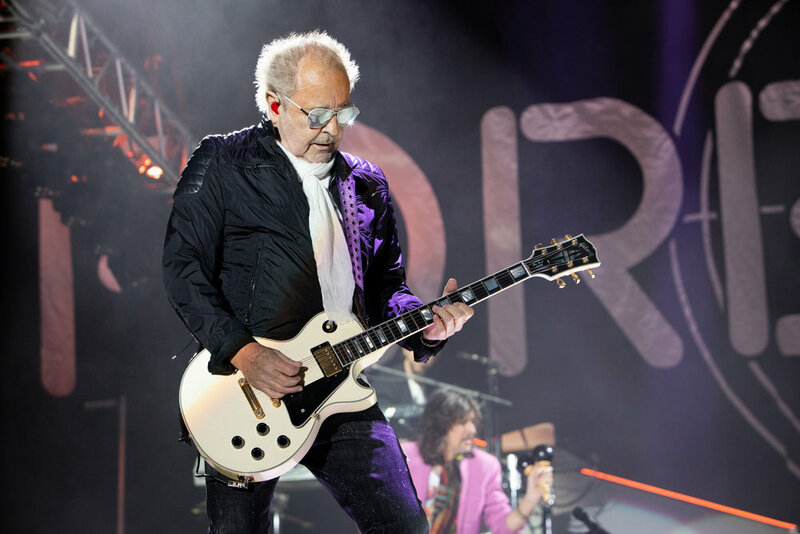 Now each night on stage brings Foreigner’s music alive with energy and excitement. Thanks guys for making it all new again!" 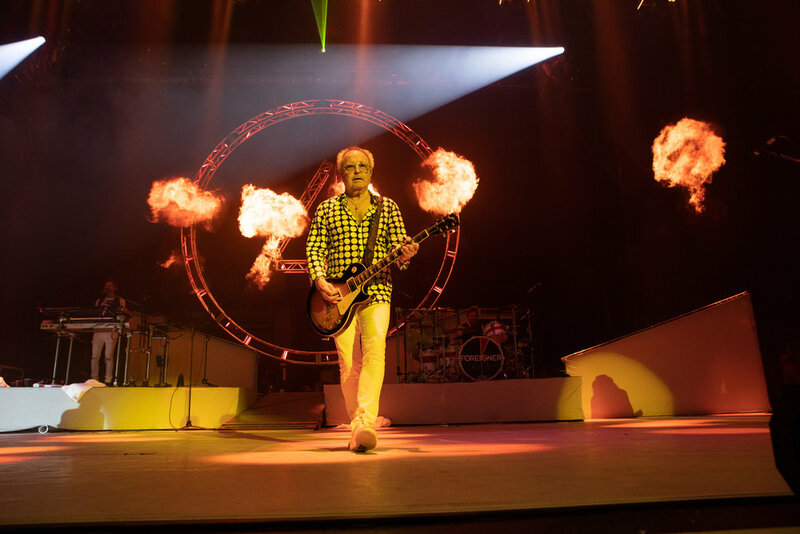 "When doing the ‘Hot Blooded’ solo I did my damnedest to set the amp on fire, which is what originally happened," Mick says laughing, "I turned it up to 11, I kicked it. . . "
"My feeling over the years is that if you can write a song on an acoustic instrument, and it sounds good, you know you have a good song," Mick explains. "The first time we approached these songs this way I was flabbergasted about how well they adapted back to their nucleus. It’s been an eye opener how stripping the songs bare brings fresh meaning and emotion out of them. The reaction has been so strong that it made me rethink the whole thing and put more attention to the unplugged show. People feel the intimacy, I talk about the songs and how they came about." "Its' been 6 years since the new line-up has been in place. The success, for me, merited giving the public studio recordings of songs by the new band," Mick Jones asserts. "People know the new Foreigner, so the Foreigner they see live is the same Foreigner they can get on record."